MASSARELLI - MILLER SAND & LANDSCAPE SUPPLY NEED A LITTLE...OR A LOT? Massarelli's garden fountains & statuary. 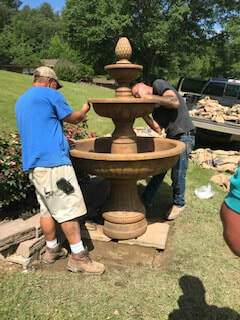 American-made, quality stone fountains & decor. Handmade by a skilled team of fine artists, sculptures, and mold-makers. These fountains are made using only the finest materials & state-of-the-art equipment. All fountains include top-quality electric pumps. Lighted fountains include LED lights. Come by and experience the Massarelli's difference today! Our staff has been highly trained in fountain installs & care. 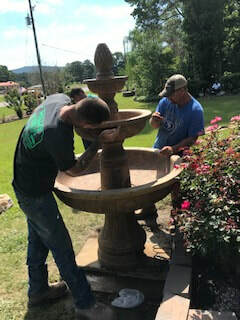 Your fountain is an investment--make sure the installation is meant to last, too! Don't neglect preparing your investment for winter! Keep it simple--call & let us take care of it for you! Didn't find what you love in our store? Ask to see our catalog for custom orders! 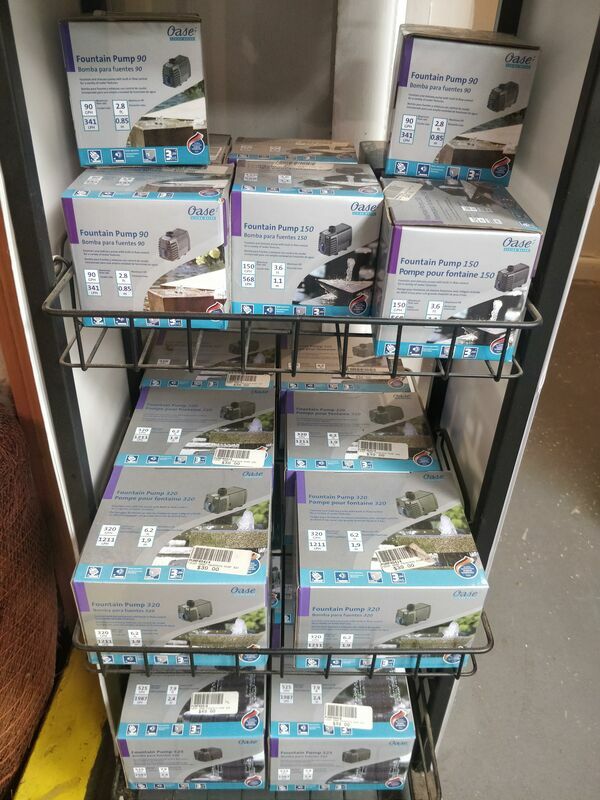 A wide range of replacement pump sizes to have your old fountain running like new.